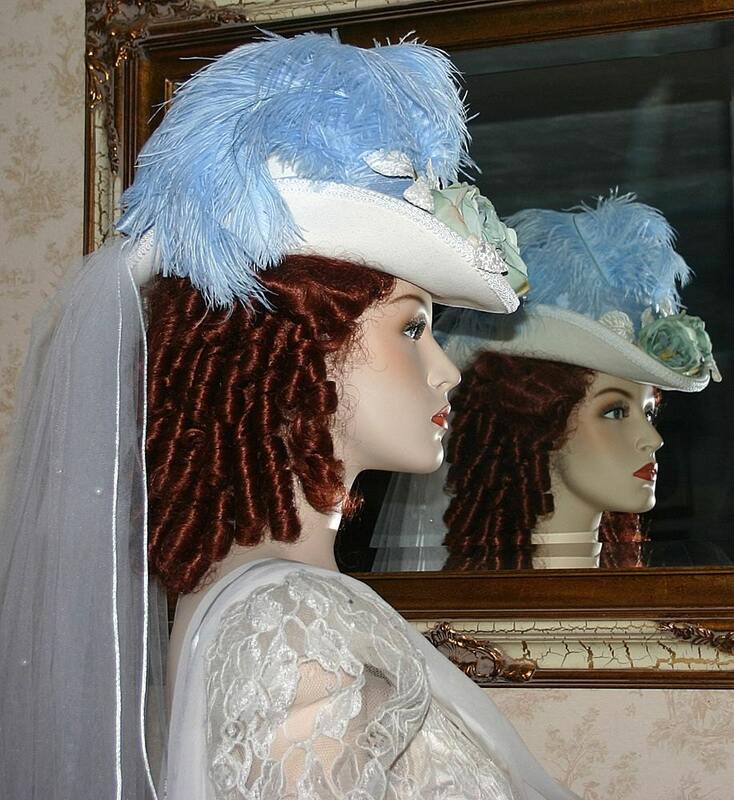 "Spirit of Saratoga" is a Victorian hat designed over a soft ivory wool base. 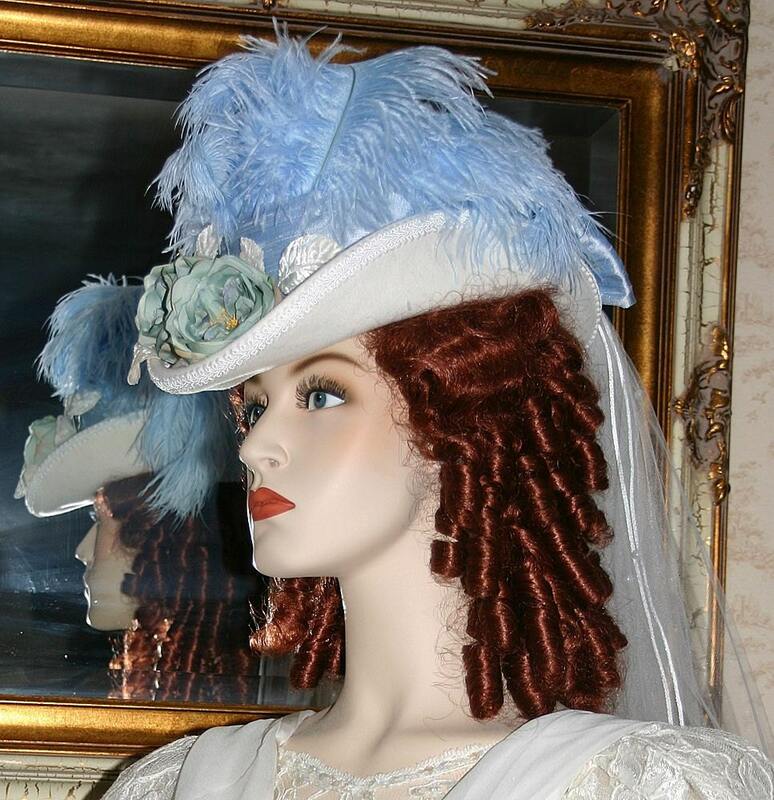 The silk roses are teal blue, the leaves ivory velvet and the hatband is ice blue silk. 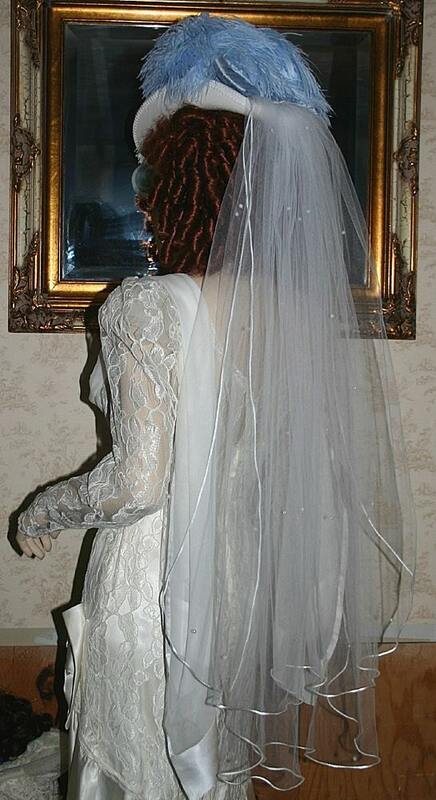 A beautiful delicate hand made white veil with satin rat tail edge and dainty pearls as the accent. 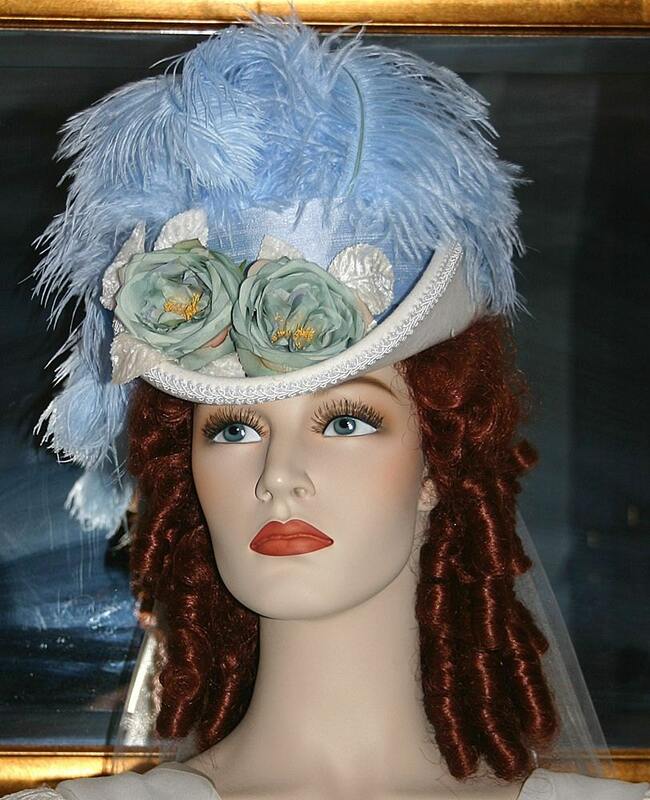 Ice blue ostrich feathers billow over the crown of the hat and white gimp accents the edge of the brim. 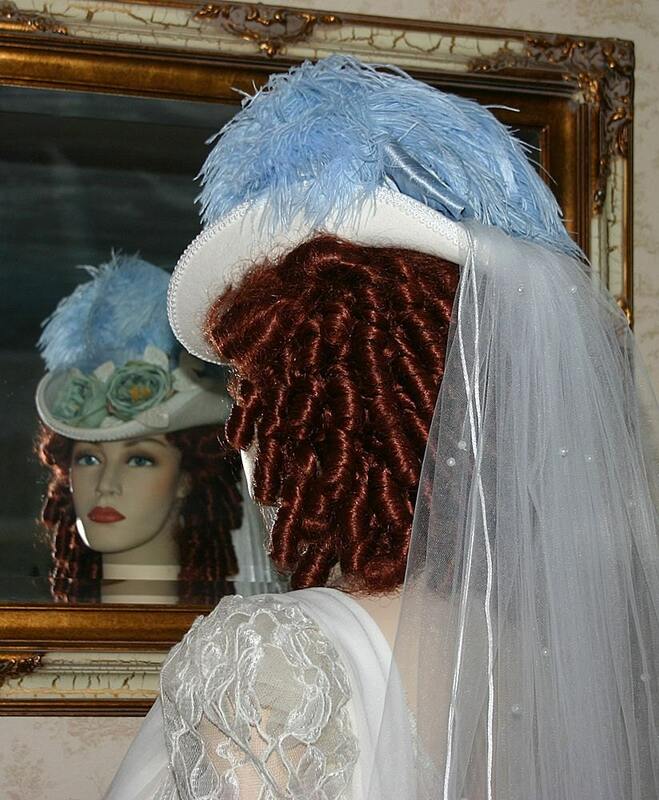 This hat is perfect to wear for a SASS event, wedding or anyplace that you want to feel special.